The Tower Hamlets Festival of Communities explores living and learning across the east end packed with family friendly activities and events. This year, we reached out to the local communities by inviting children and their families to explore the research labs at the Institute of Bioengineering, School of Engineering and Materials Science. 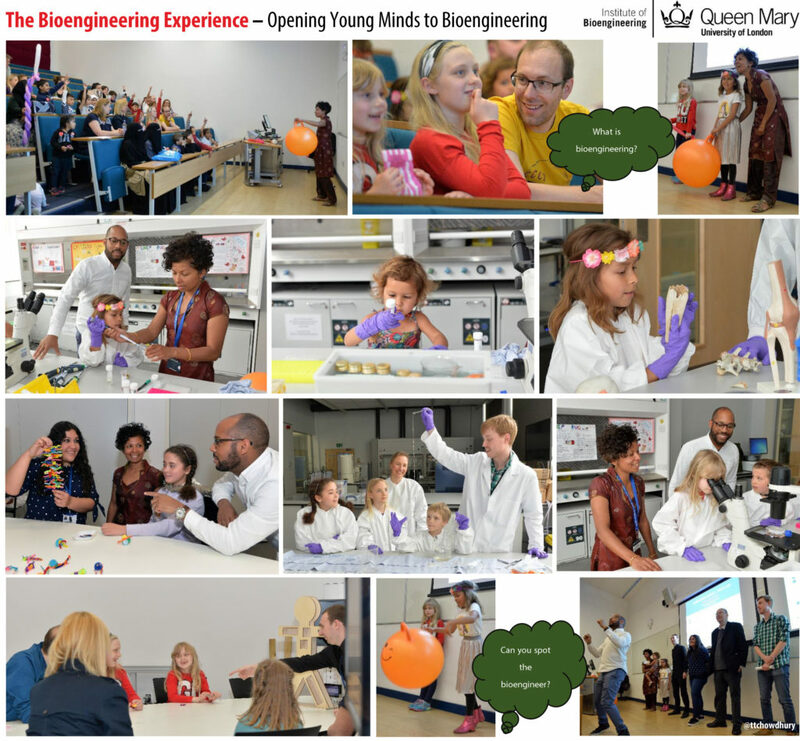 The children took part in an interactive science show where they met the bioengineers and learnt about our exciting research. 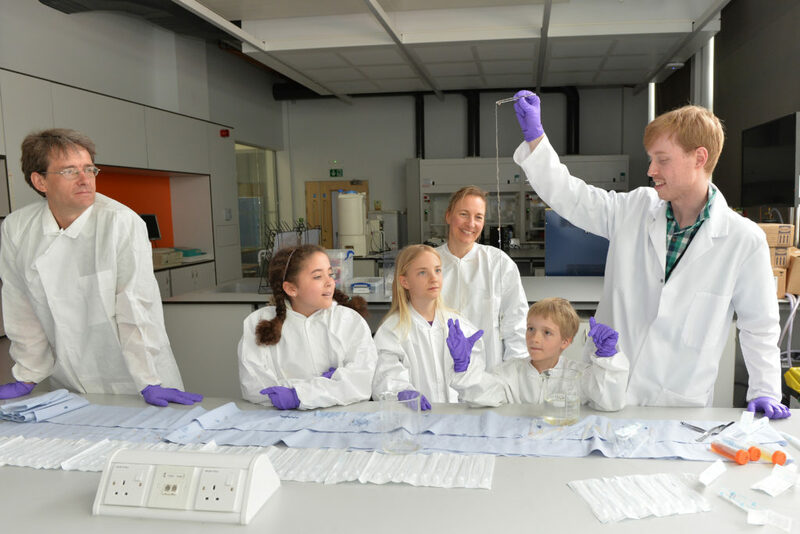 Many of the children visited the research labs and took part in hands on activities with the scientists and engineers. The children worked with James Taylor and made biomaterials out of seaweed and sugar. The biomaterials are used for treating defects in the knee such as cartilage and repairing holes in teeth. 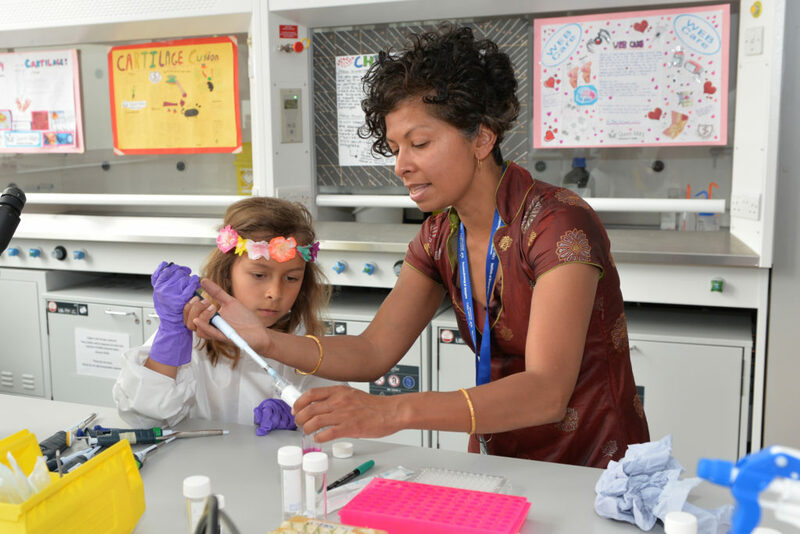 The children learnt why it is important to engineer cells and tissues with materials and nanotechnology with Soraya who is a biomedical engineer. 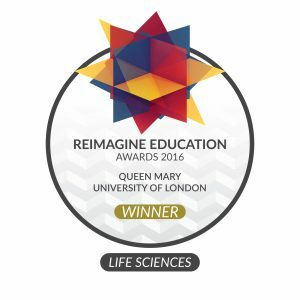 Nanotechnology is a multi-disciplinary area combining the physics and chemistry of molecules to create and build 3D structures for healing tissues in the human body. Wesleigh Dawsleigh demonstrated the research and design process for innovating medical devices. The children became inventors and created a new implant for fixing the knee with metals. 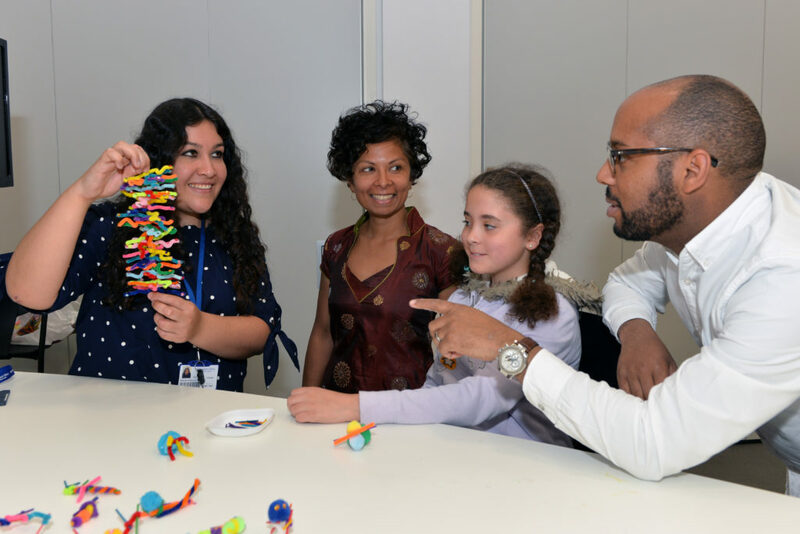 Canon ambassador Simeon Quarrie captured the views of the children by helping the scientists and engineers to share their stories with the families. The event featured something for all ages and interests with scientific poster presentations by year 6 children from St Joseph’s in the Park. ← The amazing machine – you !